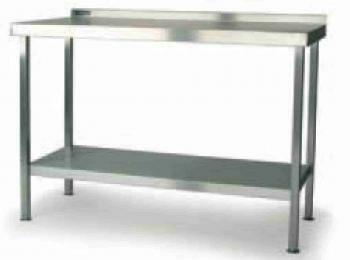 This table is manufactured from type 304 stainless steel. The wall bench has a 45mm turn down front and ends with an upstand and boxed edge to the rear. This table has a reinforced double top made from a galvanised plate to give added strength and stiffness to the work surface.